There are 11 reviews of Shelter Island. Pepper and oud at first blast. The lily is strong, after the initial oud slap backs off. The pepper is almost lemony. I definitely smell something ocean-briney, like seaweed. Marine accord indeed, as it progresses. Saltiness. The lily fades. Sandalwood moves in. Oud returns. Add some amber. Throw musk at it. A haphazard sandcastle of fragrance. Not bad! Just when you thought aquatics were done to death, here comes Shelter Island. The Pepper and Oud (kind of synthetic oud), make the difference. There is hope for aquatics. Nicely done! I just started testing this one out. After reading the other reviews, I feel like I'm missing the experience. This one reminds me a lot of Bond's Signature but just a bit more rough around the edges. Thus far, this has eight reviews: and, they're all positive ratings. I kind of hate to do this, but for honesty's sake, I have to go neutral on this one. I'll spend more time with it and update here if it's warranted. A strong projecting feminine fragrance, smells of the ocean, of flowers, and Coppertone suntan lotion. Opens with lilies and the ocean. algae helps with the oceanic theme. I wish I knew the aroma chemicals Bond uses to make this, and Fire Island smell exactly like Coppertone. It's a scent that has been around for years and brings great memories of the past, wear it on your night-out to the seafood restaurant on your beach vacation. Not sure a man could wear this convincingly, the floral is awfully loud. This stuff is fantastic. It is definitely signature-scent-worthy. I don't imagine anyone else around using this scent, so it will be unique. I might even purge my backup bottle of the signature scent for this. It resembles a layering of Montauk and Signature. Bond No. 9 Shelter Island goes in several directions for me---citrus / aquatic, spicy, and even candy sweet, reminding of I Love New York For All. It lands somewhere between, the aquatic seaweed and citrus notes being complemented by the pepper, myrrh, and oud, with a musk base likely adding the sweetness that I smell. I don't get the lotion smell in particular but I can certainly see how this smells like women's cosmetics, though the lipstick/makeup smell (i.e. Chanel Egoist) isn't something that cannot be flattering on a man. This definitely strikes me as a unisex, year-round, day/night fragrance, sufficiently strong and multi-directional. So for that versatility alone, it offers something special. Longevity surprisingly isn't great since this does lie on more of the aquatic/fresh side. Due to its complexity, Shelter Island really needs to be tested out on the skin to see which notes come out. I imagine that most will find it provocative and interesting even if not a great fit. It leans feminine on me so I'd probably not consider it, especially at the house price, but it's a fun composition. 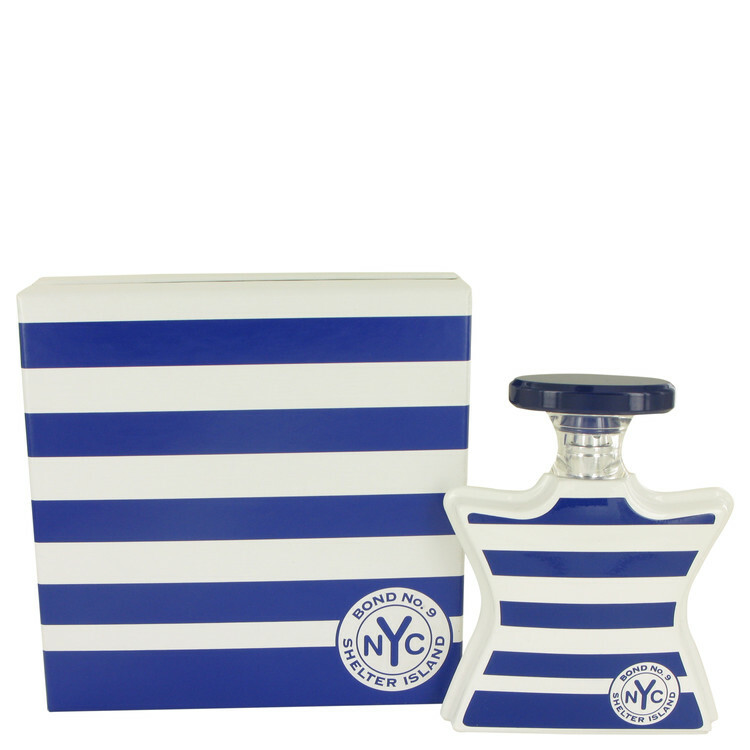 BOND No 9 SHELTER ISLAND EDP SPRAY UNISEX 3.3 Oz / 100 ml NEW ITEM TESTER BOX !! NEW Bond No. 9 SHELTER ISLAND 0.57fl.oz/1.7ml SAMPLE Free Shipping!!! There are no member images of Shelter Island yet. Why not be the first?